Update (05/11): New press renders shared on Chinese social network Weibo give us the best look at the Galaxy S8 Lite’s design that we have seen so far. Based on the renders, the phone will be available in Burgundy Red and Black, though Samsung might have other colors in the works. The renders also show the Galaxy S8 Lite without a heart-rate sensor, which would line up with what TENAA showed us. According to the source that released the alleged press renders, Samsung will announce the Galaxy S8 Lite May 21 in China for around $450. We do not know if the Galaxy S8 Lite will make it to other regions, though we will keep a close eye out if it does. Original post: A new Samsung model (SM-G8750), bearing a strong resemblance to the Galaxy S8, has appeared on China’s TENAA website. However, a few specs suggest we could be looking at a budget or “Lite” version of last year’s flagship. For one, the telecom authority’s listing (translated version) shows a phone with a 5.8-inch, 2,220 x 1,080 resolution display — the same size as the Galaxy S8’s 2,960 x 1,440 screens, but with lower resolution. A lower resolution display is usually a telltale sign that we’re looking at a cheaper handset. 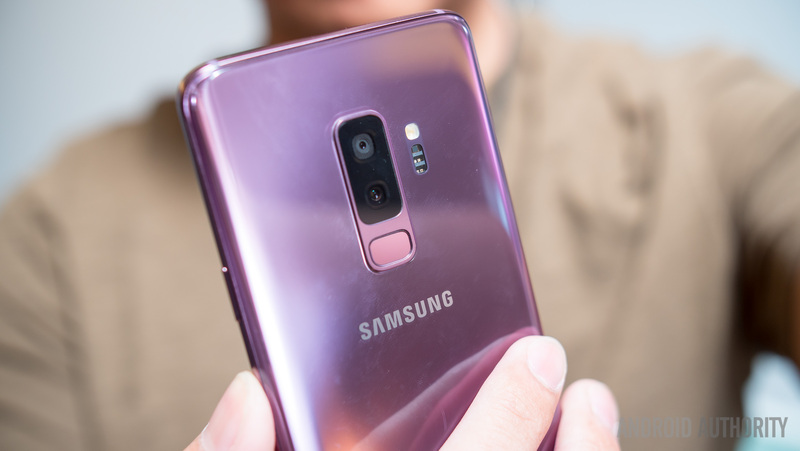 Another key difference is in the rear camera, which seems to pack a 16MP resolution camera compared to the S8’s 12MP shooter; Samsung generally uses 16MP cameras on its cheaper A series phones. The heart-rate sensor seen on flagships is also missing on this Galaxy S8 variant, which would make sense if this is a budget-oriented phone. TENAA doesn’t give us exact details regarding the chipset, but it’s noted that it’s an octa-core chip clocked at either 2.2Ghz or 1.9Ghz. This too doesn’t line up with the Galaxy S8’s clock speeds, suggesting a different chipset is included. Though it might seem like an odd move for Samsung to release a Lite model of last year’s flagship, the phone has much in common with the Galaxy S8, and certainly more than this year’s Galaxy S9. For one, there’s the fingerprint scanner to the right of the rear camera, which echoes its position on the Galaxy S8 rather than the Galaxy S9 (below the camera). Then there’s the same design, down to the exact S8 dimensions, the same 3,000mAh battery capacity, 8MP selfie camera, iris scanner, 4GB RAM and 64GB storage pairing, and the same Bixby button on the left side. The SM-G8750 is not the only peculiar Samsung device to appear on TENAA in recent weeks, though. A Galaxy S9 variant showed up last month, packing a dual-camera setup in an iPhone X-style housing. This phone (model number SM G-8850) has the same clock speed as the 2018 flagships, a 3,000mAh battery, 4GB or 6GB of RAM, and a 5.8-inch 2960×1440 display. Samsung hasn’t made any official announcement about either device and it remains to be seen whether these phones will be launched outside China. With that in mind, Samsung’s A-series has come a long way, making us wonder whether a budget-minded Galaxy S8 variant is necessary.